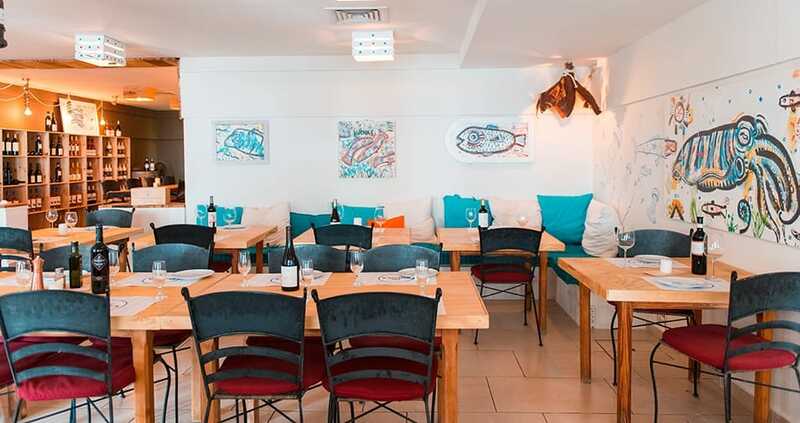 At the entrance to the harbour of Cala d’Or, you will find a ‘haven of happiness’ vying for your attention amongst the mass of white painted bars, restaurants and shops that make up the Marina de Cala d’Or. 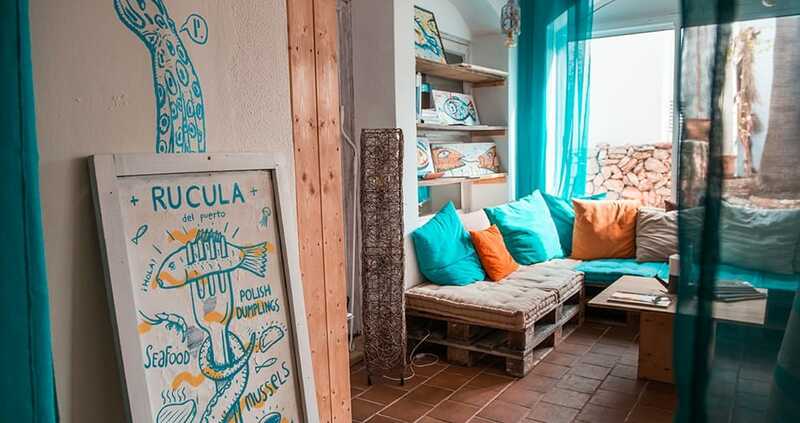 At the ‘chiringuito’ style Rucula del Puerto, with palm leaf covered sun-umbrellas, whitewashed walls and paintings of sea creatures, – the concept is food, wine, and art, but perhaps that should be cocktails, food, and art as we were about to discover. 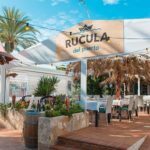 The owner Kuba May and his artist partner Grzegorz Kufel, both from Poland, arrived on Mallorca in February 2017 and within two months launched Rucula del Puerto in the southeast corner of the island. 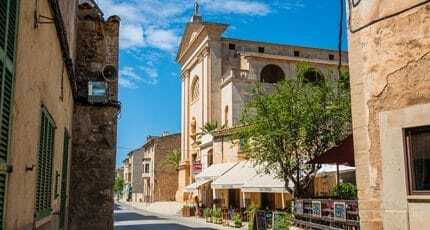 The travel-loving pair were so attracted by Mallorca that Kuba May delegated the management of his seven restaurants in his homeland in order to run their new project here. 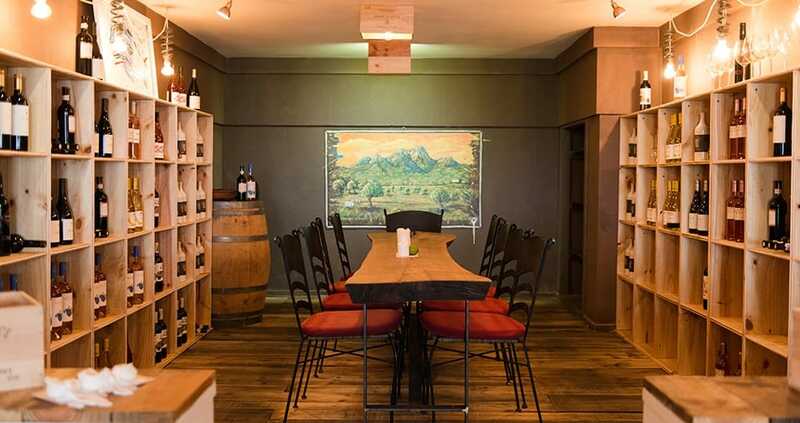 The young, good-looking, all-male team from Poland is so enthusiastic about their restaurant that I become immediately intrigued to try the food. 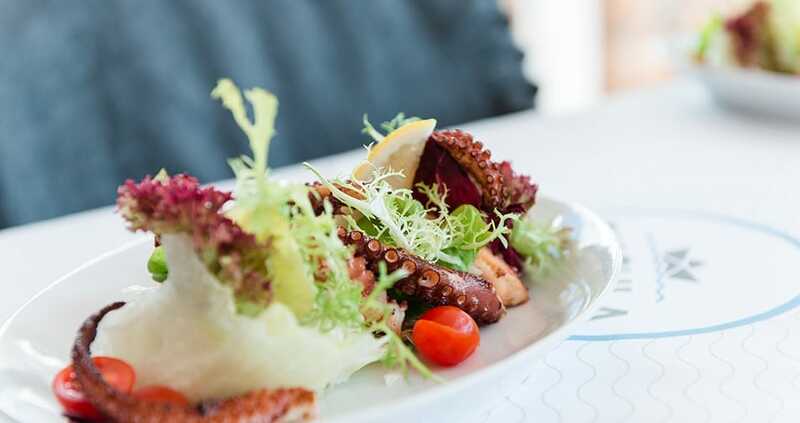 Simon is head-chef, presents his guests with the best local ingredients prepared in his unique style. 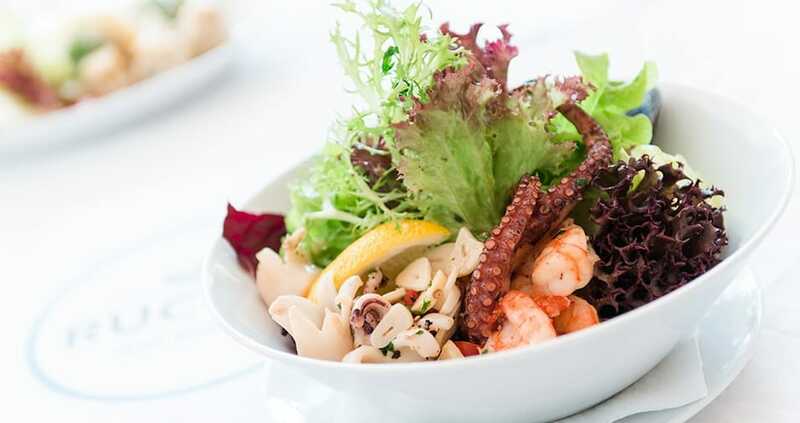 We tried the flavourful seafood salad of fresh prawns, octopus, and mussels. The team wanted us to sample the Polish style dumplings filled with a variety of duck, lamb, and spinach and we were not disappointed. 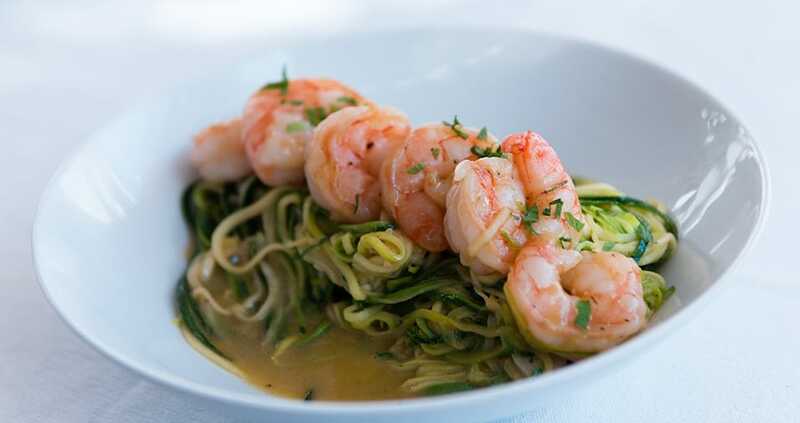 One of the highlights was the courgette style spaghetti pasta with fresh gambas. We loved the Asian dish of mussels in a yellow curry sauce. We finished lunch with the delicious, Polish style apple crumble. 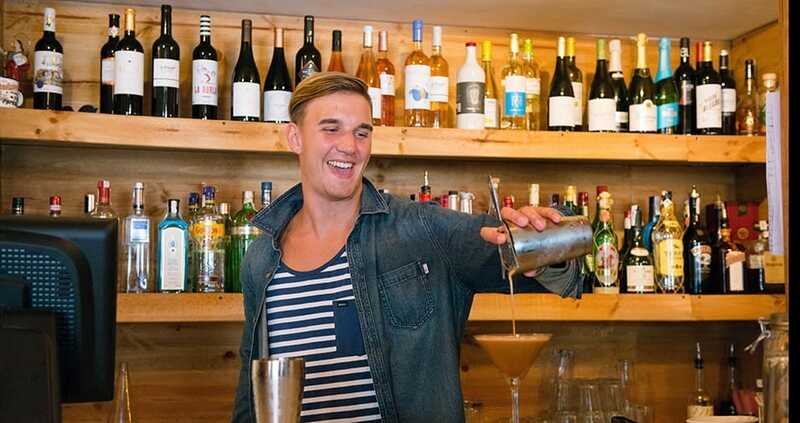 Radek prepared three cocktails for us; the first was Rum Root a mix of ginger, beetroot, lime and cane sugar – it was perfectly balanced without being too sweet. Then we tried the Clementine – a mix between an Italian aperitif and a London dry gin – a bit too strong for my taste but smelt divine. 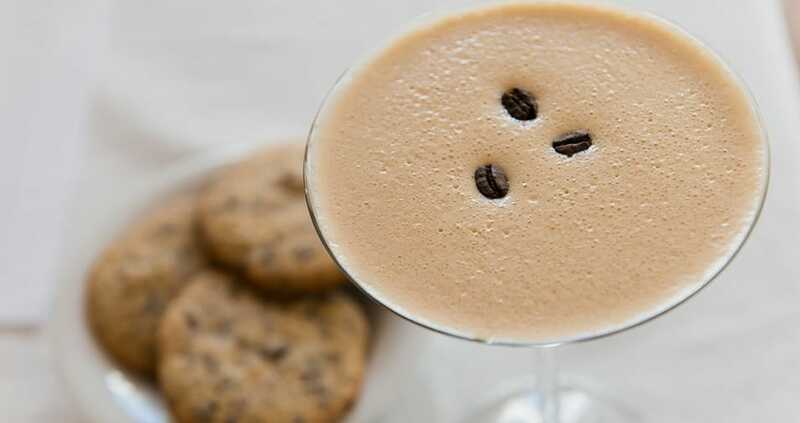 The third one was the best – a Mallorcan Martini where all the ingredients are handmade on Mallorca – coffee liquor, rum with coffee flavour and vanilla – the taste was so rich yet refined, and the home-made chocolate chip cookies were the perfect accompaniment. 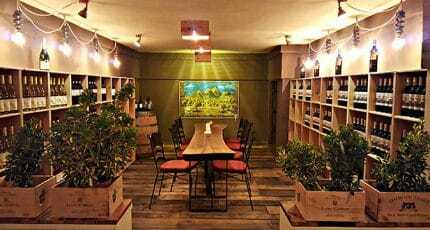 We were swept away by the hospitality of the young team. It is infectious when everyone around you is so passionate and takes so much pride in what they do. 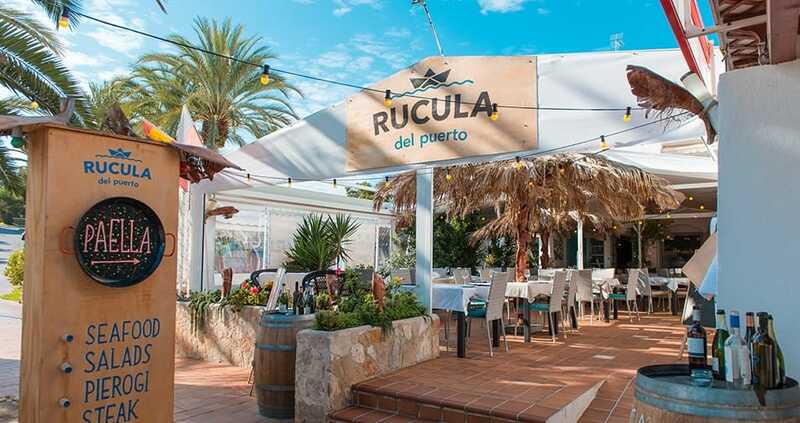 The enthusiasm and warm hospitality of the team together with the tasty fresh seafood and to enjoy the best cocktails in Cala d’Or-if not in the whole of the southeast! 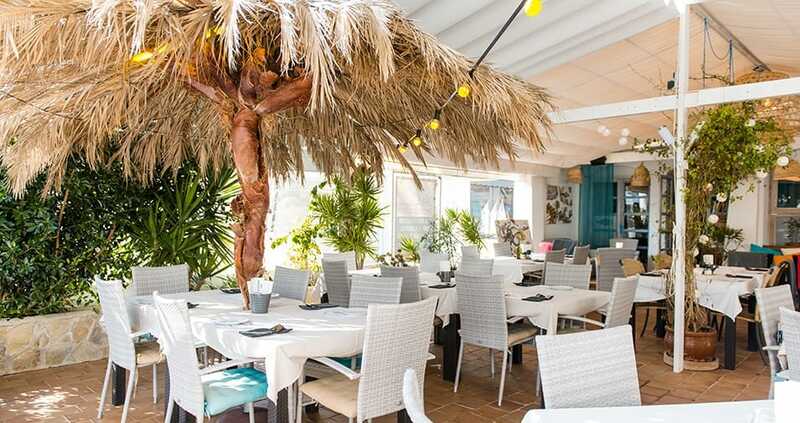 We hope you have found this article about the A ‘chiringuito’ style fish restaurant in Cala d’Or useful and that you have many memorable stays in Mallorca as a result of our recommendations.